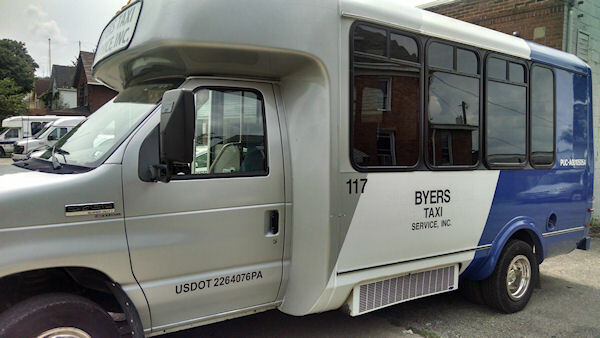 Byers Taxi Service, Inc. services the cities of Vandergrift, New Kensington, Arnold, Lower Burrell, Apollo, Leechburg, Freeport, Brackenridge, Natrona Heights, and Tarentum. 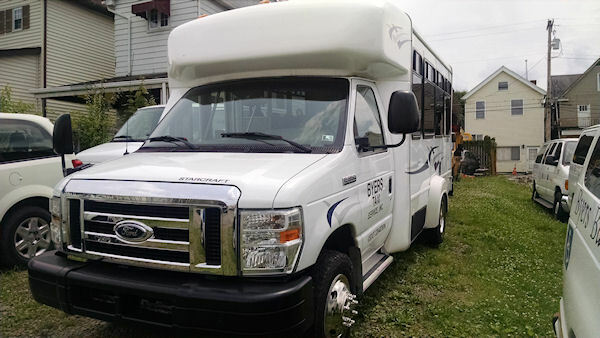 Airport service for all of our service areas AND Kittanning & Ford City areas. 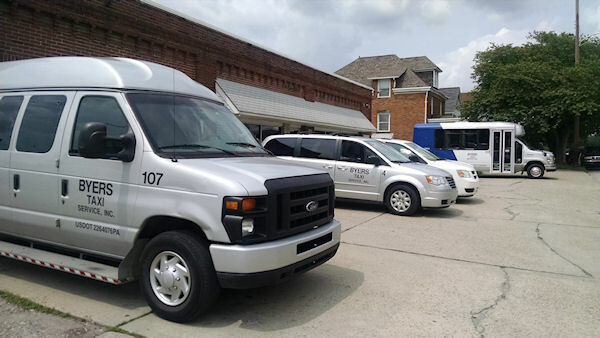 Regular taxi service 7am to 5pm Monday thru Friday in the following towns and surrounding townships Vandergrift, Apollo, Leechburg, New Kensington, Arnold, Lower Burrell, Freeport, Natrona, Natrona Heights, Brackenridge, and Tarentum. Service is available before 7am and after 5pm with an advanced reservation. A surcharge will apply. The dispatch office is closed Saturdays and Sundays BUT service is still available from 7am to 1pm by advanced reservation only. Please call the dispatch office by 3pm on Fridays to schedule your weekend rides. 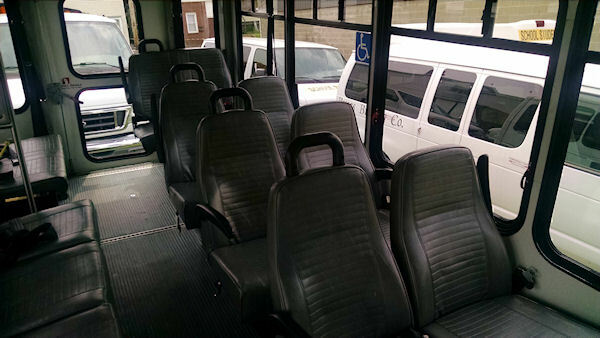 Insurance related transportation. 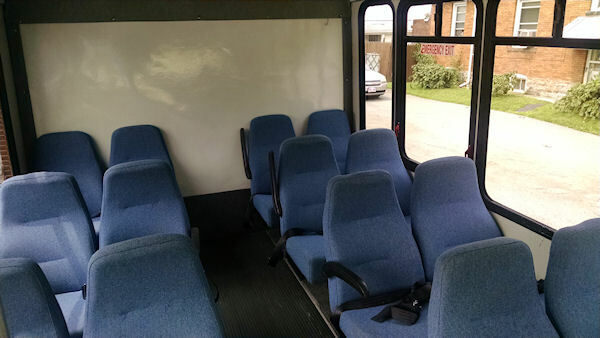 Have your insurance company contact us to set up transportation. 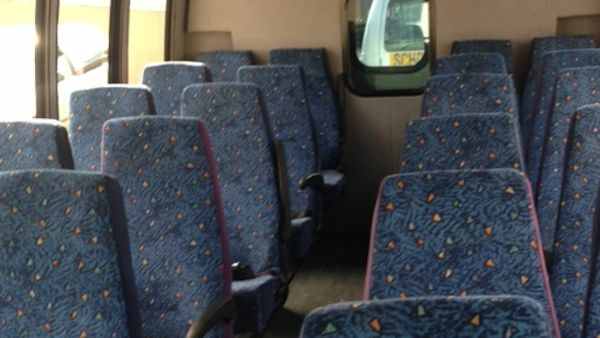 John, one of the drivers, is amazing! My neighbor is in a wheelchair, and John was the person picking him up. There was a lot of snow that hadn't been shoveled yet, and the driver shoveled his whole walk way for him to get out of his house!!!!! 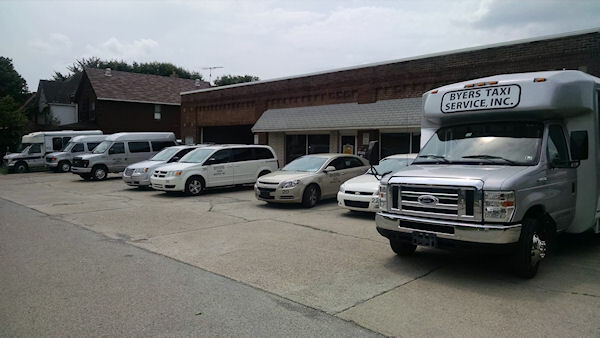 In the late 1920's, David Thomas Byers Sr. owned and operated a busing company known as "Vandergrift Transportation Company." 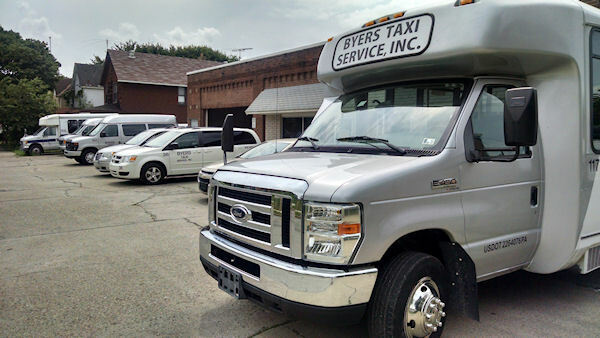 On September 16, 1929 during the "Great Depression," Vandergrift Transportation Company changed hands when David's son, James "Percy" Byers, along with wife Ethel founded "Byers Taxi Service." The company began with one Model-A Ford, with Percy as both driver and mechanic and Ethel working as the dispatcher. When the company began to grow, Percy's brother, Thomas Byers, also worked as a driver. 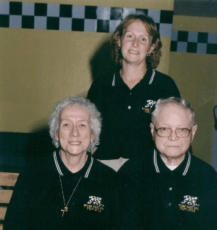 On November 17, 1929, Ethel and Percy had a son, James Percy Byers, Jr. Raised in the taxi business; Jim Byers became a mechanic at an early age and later on, helping his parents in all aspects of the business. When Jim married Clara, she joined the business as a dispatcher. 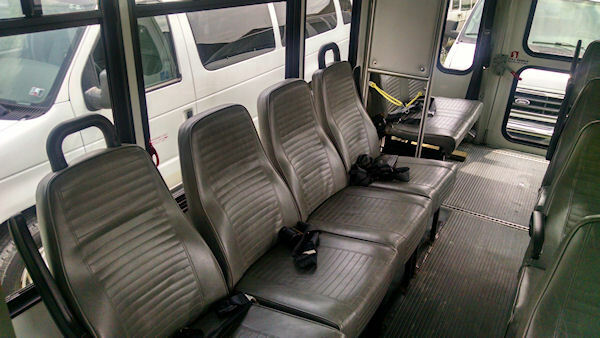 In the 1960's, the taxi business expanded to provide school student transportation. In 1964, Jim Byers, bought the business from his parents, and the company name was changed to "James P. Byers Jr. Taxi Service." In the early '70's their daughter, Julia was a driver and dispatcher. Their son, Bobby, was a mechanic for the business until his death in 1976. Their daughter Susan and son Jimmy have also taken turns in the past helping where needed in the family business. In 1991, when her mother, Clara, became ill, daughter Julia became business manager to help her father run the business. 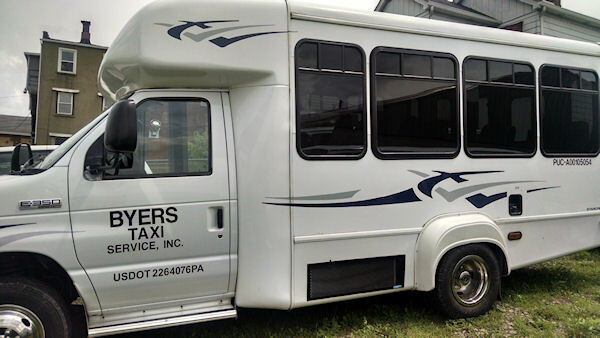 In 1993 it was decided to divide the company into Byers Busing Company, which does the school student transportation, and to incorporate the taxi service, which is now known as "Byers Taxi Service, Inc." In 1997, Julia bought the business from her parents, becoming the third generation to operate the taxi company. 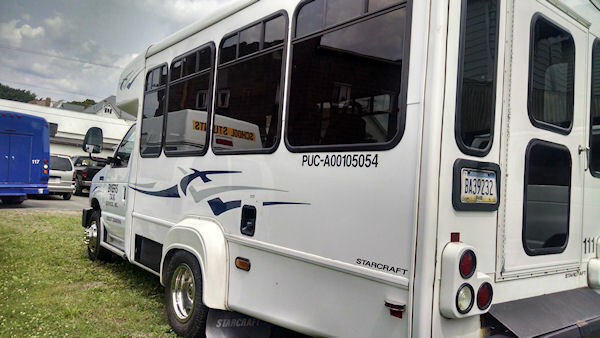 In 2006 the cities of New Kensington, Arnold, and Lower Burrell were added to the Vandergrift, Apollo, Leechburg areas that the taxi company had been serving. 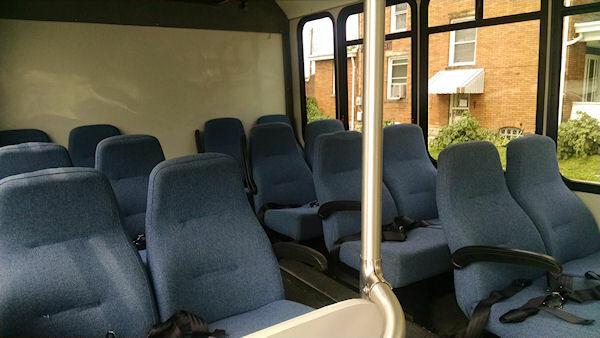 Now in 2015 we have added the cities of Freeport, Brackenridge, and Natrona Heights and Tarentum. The Company has grown over the last 85 years, from one Model-A and two people to a high of 42 vehicles and 45 employees in 2013. 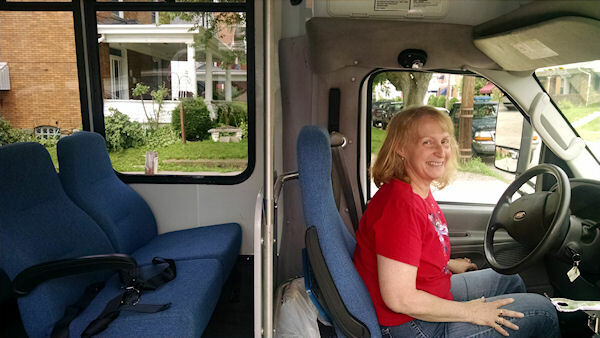 Over the years, Julia has watched her grandparents and parents through good years and bad years, "demonstrated the ability" to survive and provide a very important service for the Vandergrift and surrounding area. Julia, along with her husband Terry; have two sons, Lee and Jeremy. Lee and Jeremy have both worked as mechanics for the business. 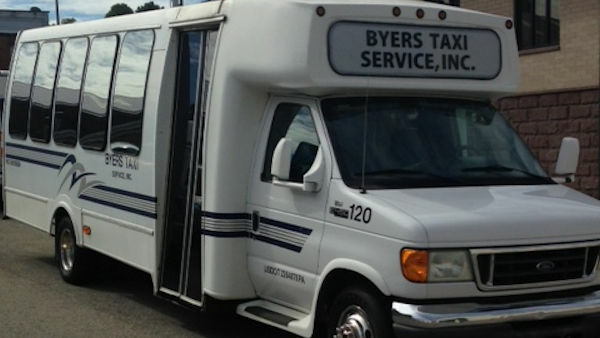 With the fourth generation already growing up with the family taxi business, with the help of God and good employees, (some employees are 2nd and 3rd generation) it looks like the transportation tradition of Byers Taxi Service, Inc. will continue for many years. 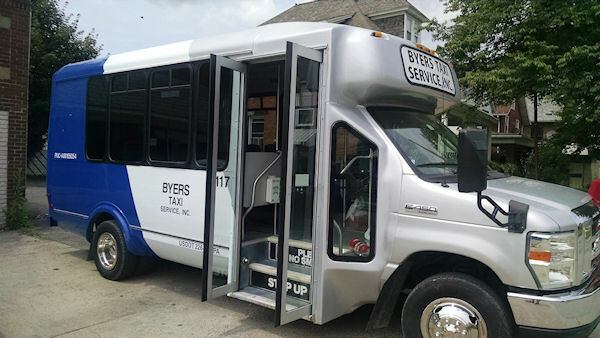 I used Byers for a shuttle service for our guests from the Wedding at Lingrow Farm back to the hotel at Pittsburgh Mills. 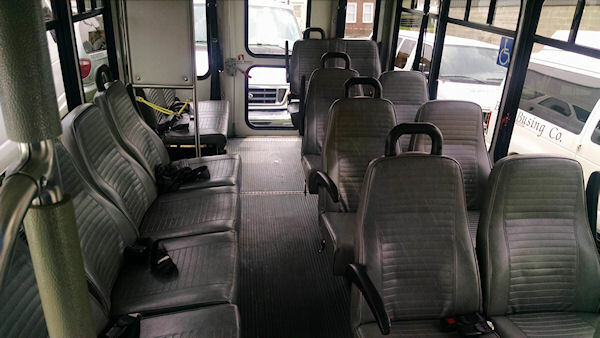 The shuttles were on time and clean. They were very nice and easy to book over the phone. We never had any problems and they even waited for the the groom who didn't want to leave the party! Great company to do business with!